As a new generation matures to become the primary consumer segment, the millennials, they bring demands and expectations of service, 24/7 support, ease of use, self-help and a good experience. Customers sentiments today spread like epidemics, through twitter and blogs, and hence it is critical for any organization to maintain its rep among millennials and to sell to them. 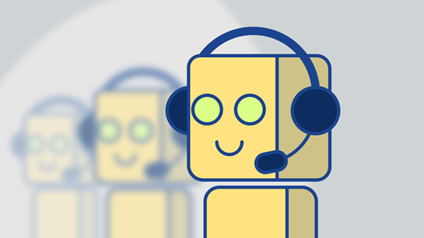 We see almost every company using wide analytics of its customer sentiment analytics or using primitive chat-bots for repetitive customer support. Some companies are one step ahead and may use emotional technology to handle disgruntled customers. While companies more deeply rooted in technical products are seeing building state of art knowledge systems and integrated custom solution portals. Because of evolving customer services, organizations are making a continuous effort to improve customer experience. New digitized frameworks are being developed for faster and accurate solutions. As a result, shifting services to more acceptable means providing more digitized environment for solutions and expressing dissatisfaction is need for the businesses. Millennials being self-expressive and receptive to new ideas often prefer service which provides them self-entitlement. The most important issue posed by traditional systems of providing customer service is the waiting time involved and dependency on others for solution. According to a market research, Gen X customers expected the solution over an email in 24 hours while Gen Y customers expect the query to be resolved in less than 1 hour based on problem at hand. Voice-bot is a program that allows a real-time conversation between users and a computer by using artificial intelligence. It uses human voice as a medium of interaction. Internally, it aggregates, processes and generates human friendly reaction to the information collected through voice commands. It can prove to be a reliable and acceptable solution for customer services in the future. Companies are increasingly developing and using emotional technologies that register user’s sentiment and responds accordingly. Companies may also use third party out of the box solutions such as IBM Watson Tone analyzer to develop this capability. Companies today are aggregating massive user’s content on their twitter and Facebook pages. Companies of tomorrow will do that collect more granular data to understand sentiments in different demographics and run ad campaigns catering to a specific sentiment in specific demographic. Lifetime support to be provided for most products. Reasons favoring voice enabled chat bots. Today after-sale customer services are a major factor for a successful business. Whenever customers need to raise issues, the most convenient way would be to have voice communication. Voice communication based support by trained professionals has some drawbacks like Instant & Personalized solution, Knowledge limitations of executives, Risk of social exposure etc. However the benefit here over Knowledge based support systems and social media support are that an average user can type around 30–40 words per min whereas oral communication is around 145–160 words per min. Hence the proposed solution of voice enabled chat-bots will bring the best of both worlds. In US only, the expected savings by automating the customer services through chat-bots is around $23 billion dollars per year. But the benefits of chat bots cannot be translated only in cash, the real benefits come from a more efficient and consistent customer management. 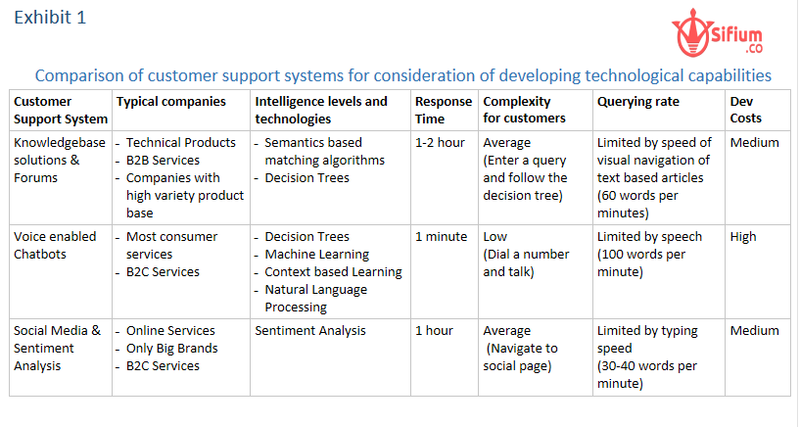 Organizations have been developing in-house analytics and data science teams.Organizations can use existing libraries and tools such as IBM Watson, Google voice API, Tensor Flow, Amazon Machine Learning for artificial intelligence modelling to transform their current customer support processes. Organizations should test the system in terms of performance and functionality and only switch when it is more robust and seamless than the current system. The proposed solution needs to address for difference in demographics, accents and cultures. Existing workforce needs to be trained and developed on technical and analytical skills. MOOCs such as Coursera and Udacity can be leveraged by companies to train its workforce.